This is the best! As tested by the very handsome and now very clean mud-loving Wheaten Terrier - Wurly. 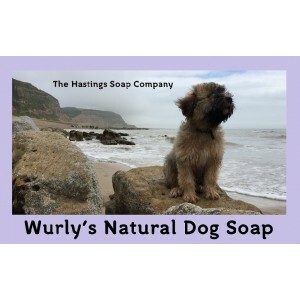 Lathers up better than most dog shampoos, but no chemicals, no worries. Made with Citronella and Eucalyptus to help banish fleas & ticks, Orange for freshness and Lavender for calmness! 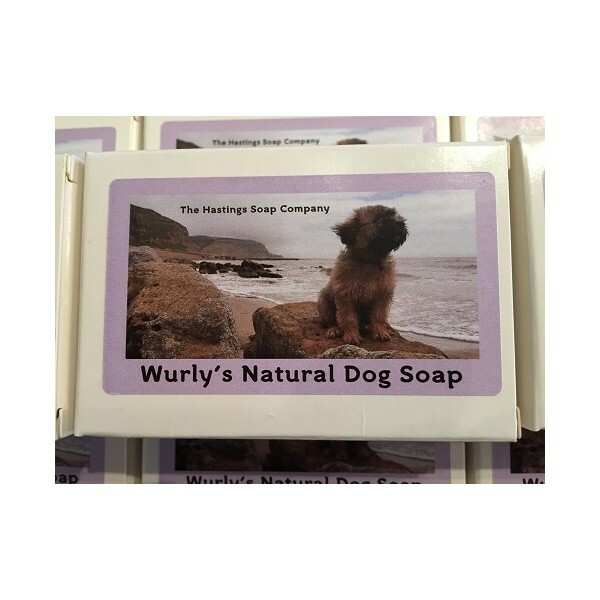 Perfect for dogs with even the most sensitive skin. Weight: Bars are hand made & weigh between 100-120g. Main ingredients: olive oil, sunflower oil, castor oil, coconut oil, cocoa butter, and either shea butter or jojoba oil. Sometimes all of those are used. Fragrances: only fragrance oils and essential oils are used, sometimes a combination of the two. Those with only essential oils will say so. Colour: Only natural colours are used - herbs, spices, leaves, roots, seaweed and minerals. To these botanicals and other oils are sometimes added. No nasties! Made for dogs, please do not use on other pets without consulting a vet.